Hybrid insurance discounts are available to you just for purchasing your fuel-efficient vehicle – and can save you up to 10%! Major insurance companies know that people who purchase fuel-efficient vehicles are less risky; hybrid insurance discounts are available. 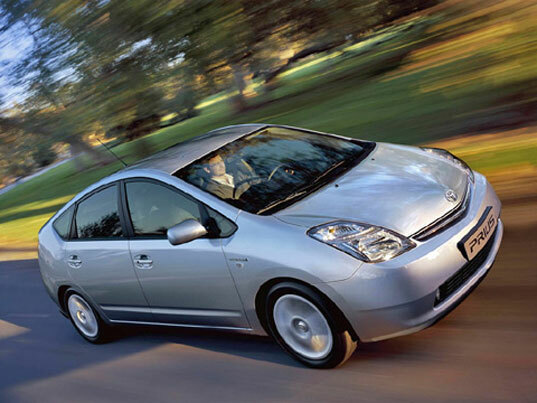 Receiving a 10% hybrid insurance discount leads to significant long-term savings on your auto insurance policies. Receiving hybrid insurance discounts from major auto insurance providers is a distinct possibility. The Green philosophy has been firmly integrated into all societies planetwide – and that means that governments and insurance providers are being very accommodating. In fact, almost every insurance provider offers up to a 10% discount on hybrid vehicle policy premiums. You see, the world is becoming less dependent upon fossil fuels; it must. The entire international automotive industry is being revamped to manufacture more fuel-efficient vehicles. Electric cars and trucks (EVs) and hybrid vehicles are taking over – and they are forming the automotive design basis for the future. EV and hybrid insurance discounts are in place to encourage the masses to get involved with helping to protect and preserve this planet’s limited natural resources. If they are depleted fully, there will be widespread environmental devastation – not to mention wars, economic collapse and more. Major insurance company providers know that environmentally responsible people, like those who choose to purchase electric and/or hybrid vehicles, present less financial risks to insure than do their non-eco-friendly counterparts. You can receive your hybrid vehicle insurance discount whether you are purchasing or leasing the vehicle. Having a strong credit rating will save you even more money on your insurance policies for electric and hybrid vehicles. As you would expect, having a excellent driving record will save you significant amounts on your insurance policies as well. Always remember that any insurance policy is based primarily upon the value of the vehicle to be insured. So don’t expect to insure a $50,000 dollar hybrid vehicle for less than you would a a $10,000 dollar non-hybrid vehicle. Take your time and do not rush the process of locating quality automobile insurance for your hybrid vehicle. Comparison shop online to receive side-by-side comparison charts of the best rate quotes from major automotive insurers. Make sure that you understand the small details of all discounts that you qualify for on your insurance policies. Remember that these discounts are not offered freely; you will most likely have to ask. Receiving hybrid insurance discounts on your automobile insurance policies is a pleasant, money-saving reward for your environmentally responsible actions. Helping to save the planet, making less trips to gasoline pumps and saving 10% on your policies for hybrid automotive insurance is definitely a winning combination. Enjoy it! Very nice tips for insurance from these tips one can get lot of information related auto insurance.Thanks for this informative blog.